By now it should not be a surprise to any of you when I say that there has been a dramatic change in course conditions in the last 4-6 weeks. 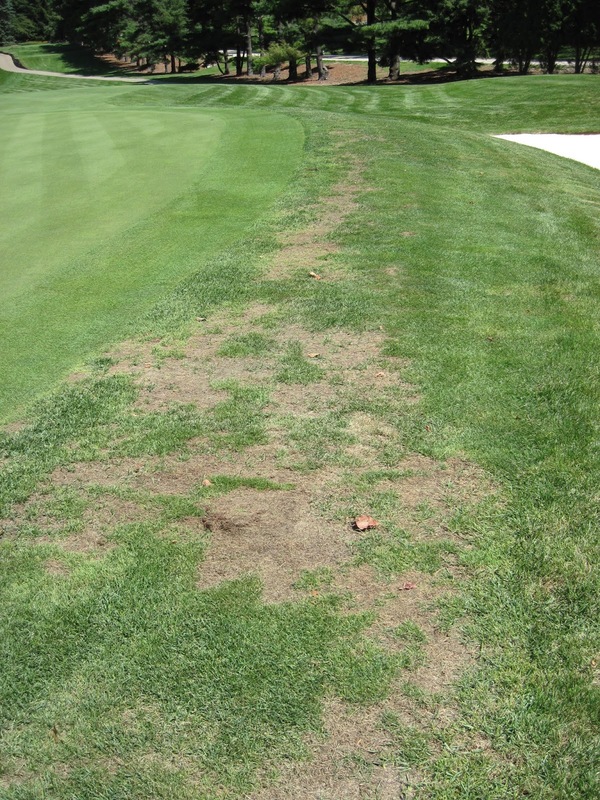 The extreme heat has finally taken its toll on the greens as well as the turf surrounding greens. Please indulge me while I make an attempt to explain what is happening in each of these respective areas. 117 degree surface temp. FYI: This is not good! 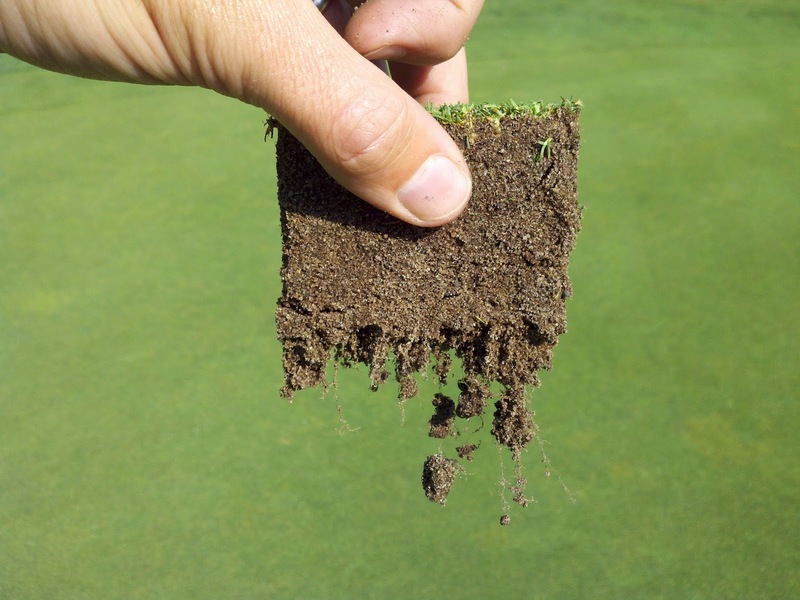 For those of you wondering why the greens are so soft and why green speeds have been slower even though the weather is showing signs of cooling off, this picture showing the current rooting depth is the reason. 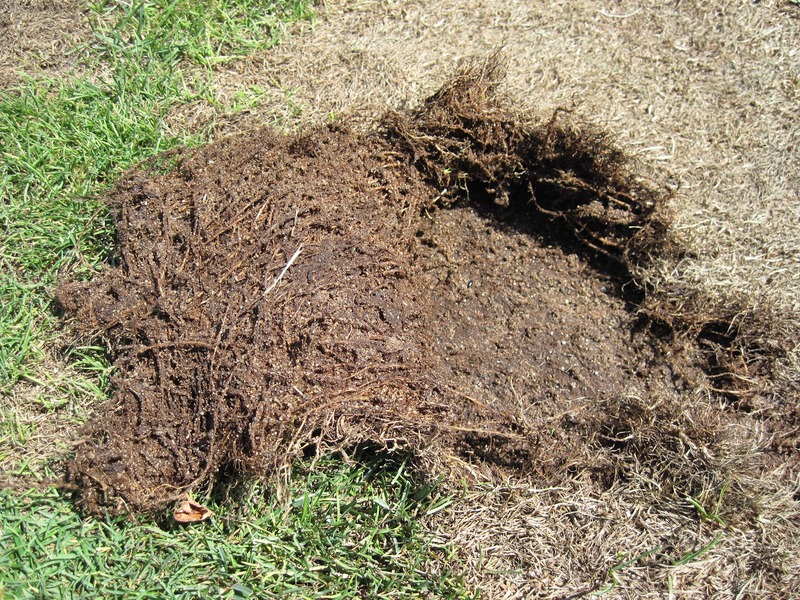 When roots are this shallow, or even non-existent in some cases, we have to be extremely cautious not to add any additional stresses to the turf that would give it a reason to die off. 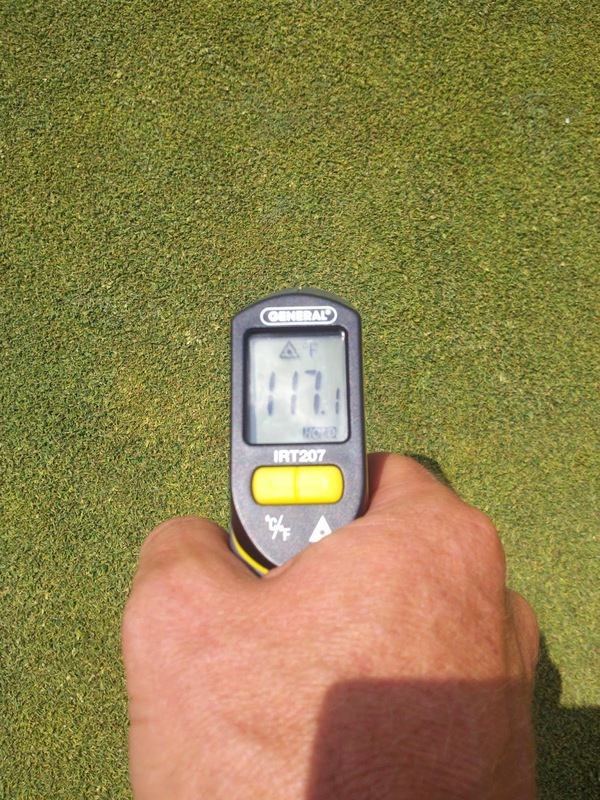 We are constantly on the lookout for any signs of wilt and regularly syringing the greens to keep them cool. As you can imagine, it doesn’t take long to dry out and for the condition of the greens to head in the wrong direction. As Mother Nature hopefully begins to think about cooler weather patterns, new roots will be initiated and our regular management practices will return to normal. Ironically enough, we have now entered a rather wet stretch of weather that will help recovery, but with the lack of roots less moisture is being removed from the soil which also helps contribute to softer conditions. We continue to roll on a regular basis, but we are also promoting improved plant health which has led to additional growth. Please keep this in mind as you enjoy your round and stay tuned for an upcoming post on the hidden factors of green speed. Regarding the poor conditions around several of the greens, we are once again battling our old friend Rough Bluegrass (Poa trivialis). 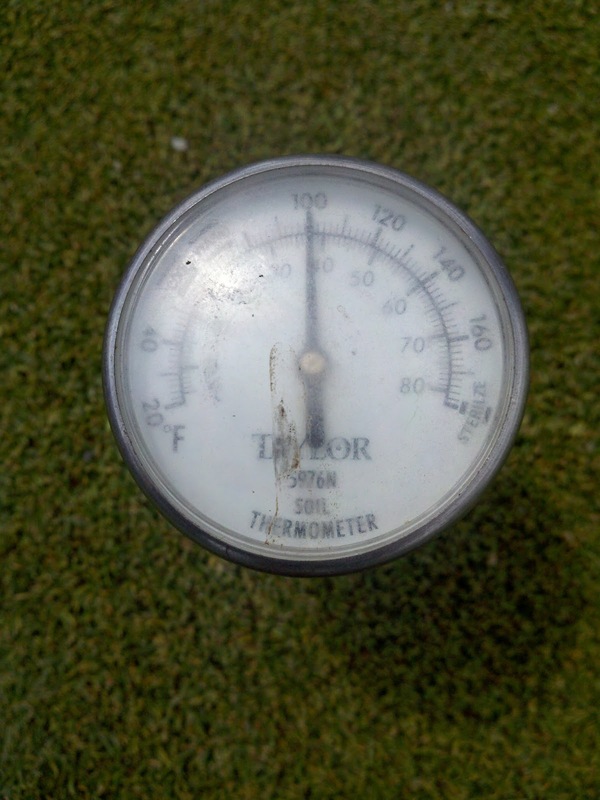 This is now the third straight year of extremely hot weather, and it’s no coincidence that this is the third straight year that we are facing poor conditions around the greens (this year being the worst). Under high temperatures, this turf, much like Annual Bluegrass, does not want to survive. 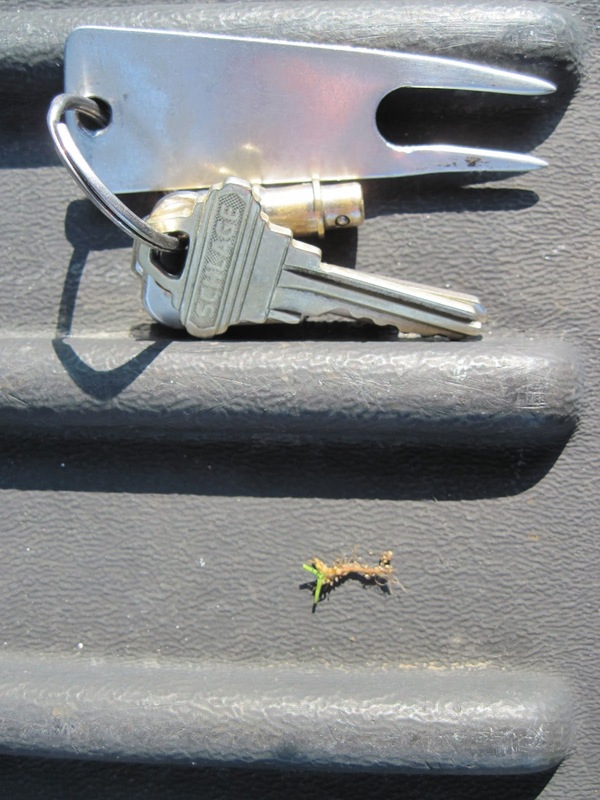 It enters a state of dormancy and will not recover until weather conditions are more favorable. More often than not, full recovery, if at all, will not occur until the following spring. Because of this, we have elected to begin replacing these areas with Kentucky Bluegrass purchased form a local grower. This will provide a quick fix to the problem and will also minimize the chances of these conditions returning in the future. just like a carpet because of poor rooting. Click Video below for a more detailed explanation. Please know that I am less than thrilled with these conditions however, given what we have been through this year, the overall health of the golf course is quite good. Sure, we have plenty of black-eyes and are bruised from the fight, but we live to fight another day. Our gloves are still on as we have no plan on giving up and want to finish the year on a very positive note as we head toward the various club championships. Enjoy the remainder of the summer and hope for some cooler weather.